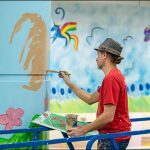 A muralist’s vision to transform the concourse of Wallace Tower into a vibrant piece of art has finally come true. 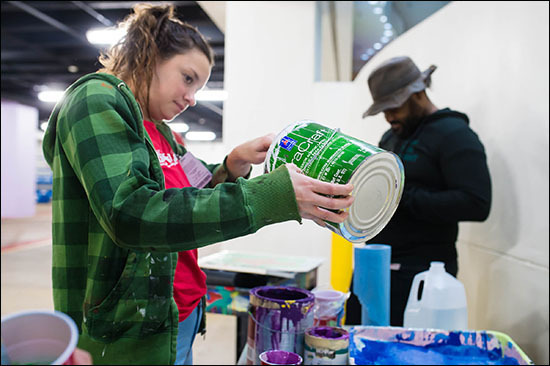 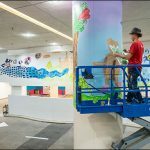 With the help of the Texan-French Alliance for the Arts, the Periwinkle Arts In Medicine Program and an anonymous donor, the concourse is now covered in large colorful paintings of dinosaurs, hearts, unicorns, spaceships, rainbows and more. 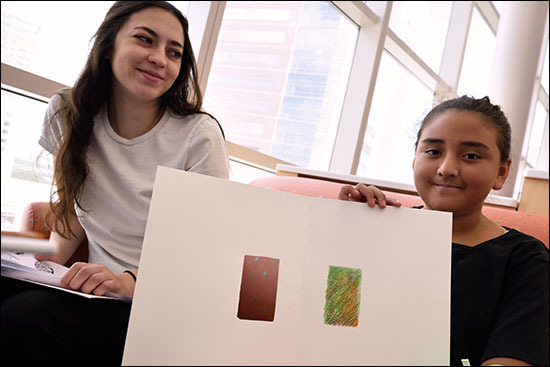 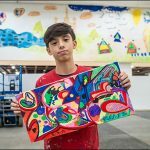 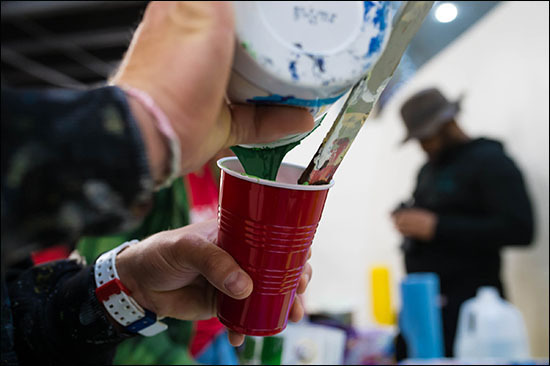 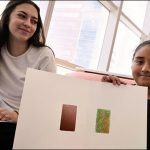 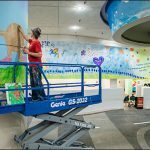 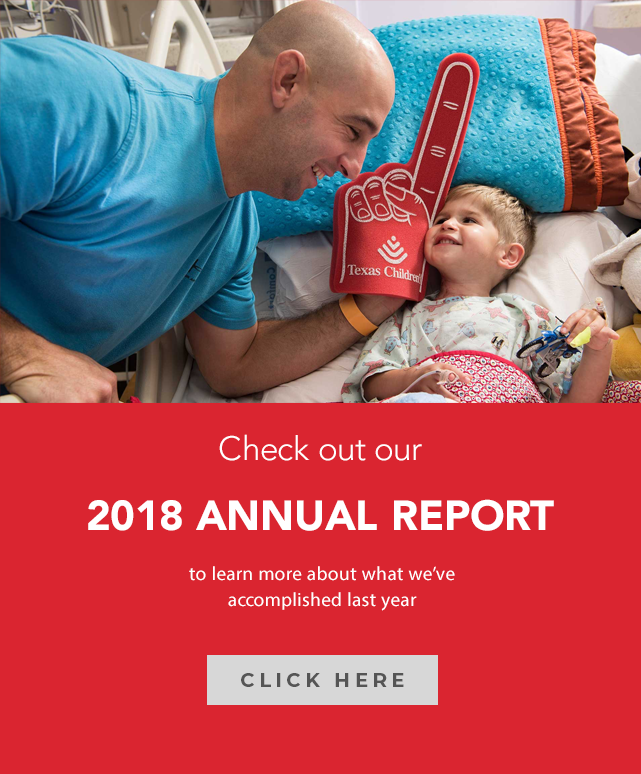 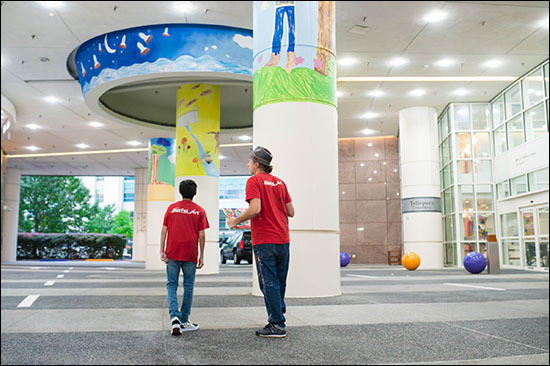 Patients with Texas Children’s Cancer and Hematology Centers as well as children who have spent time on Texas Children’s Hospital’s Renal Dialysis Unit created the bulk of the artwork represented in the mural. 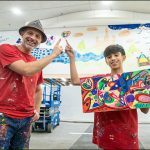 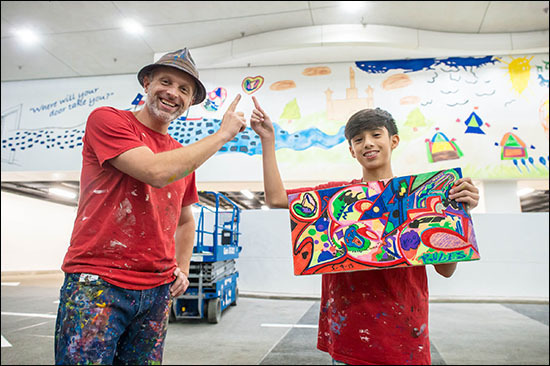 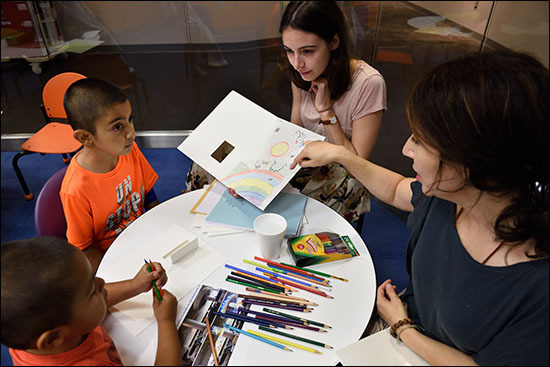 Pediatric patients from Foundation Lenval Children’s Hospital in Nice, France pitched in too, coming up with the portion of the mural that portrays a globe with a bridge going from Texas to France. 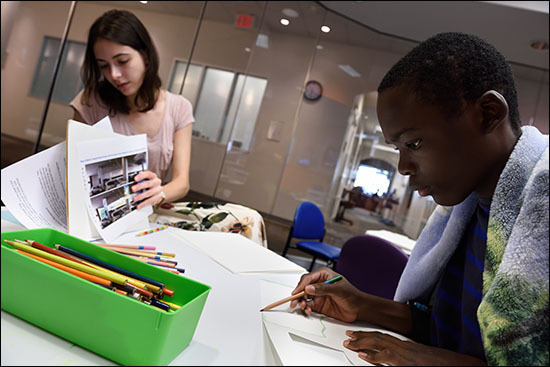 Texan-French Alliance for the Arts Executive and Program Director Karine Parker-Lemoyne and her colleague, Marjon Aucoin, art director for the W.I.D.E. 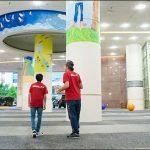 School, organized the collaboration with the patients in Nice and facilitated workshops with patients at Texas Children’s to create the artwork for the mural. 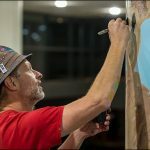 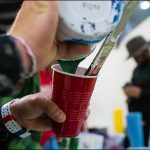 Sebastien Boileau, a French-American muralist with Houston-based Eyeful Art Murals and Designs, then took the art, and with a handful of his fellow muralists, replicated it onto the walls of the Wallace Tower concourse. 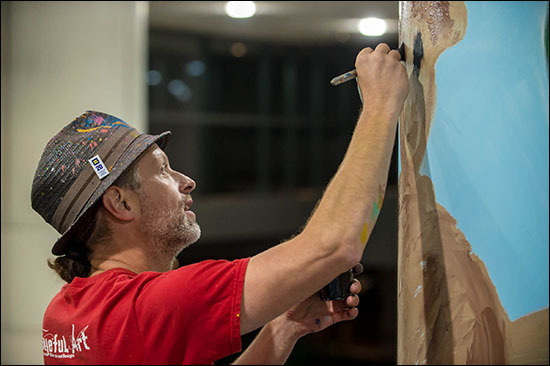 View the professional and patient artists at work below. 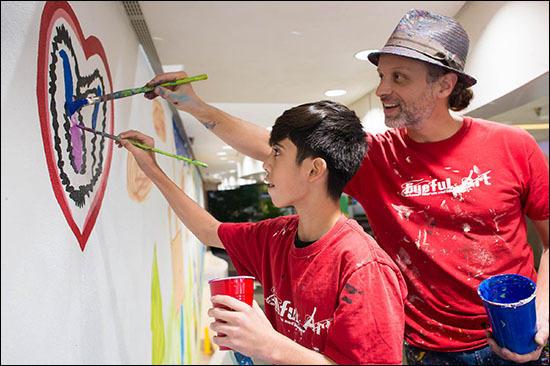 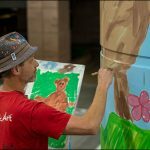 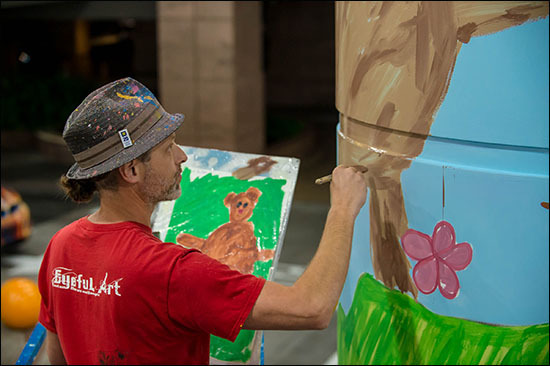 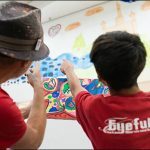 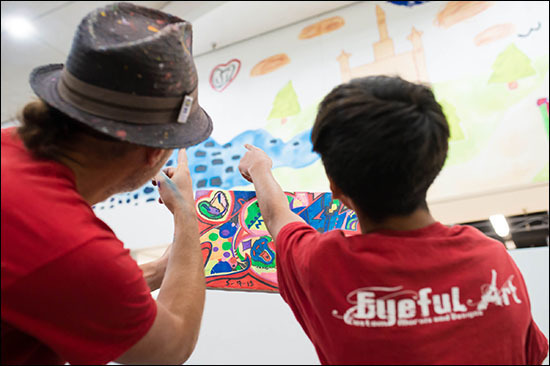 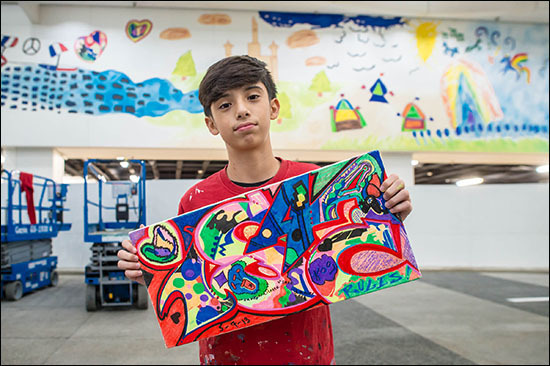 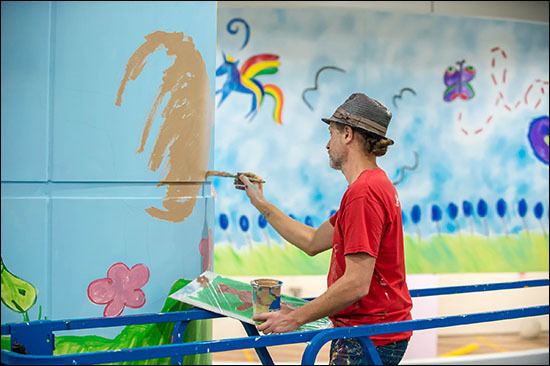 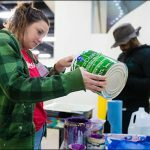 Boileau, who has created some of Houston’s most-famed mural art, said the vision for the project, called “The Door to Hope,” came to him five years ago when he was visiting his friend whose child just had heart surgery. 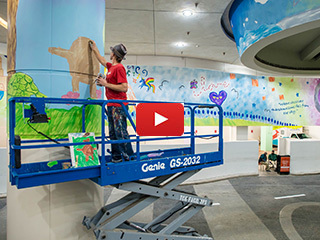 During his visit, he passed through the Wallace Tower concourse, which at the time was a blank canvas. 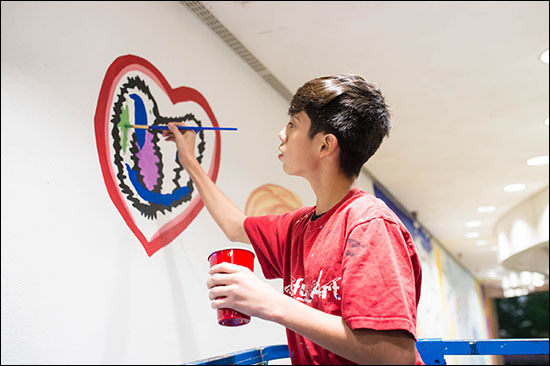 Being a muralist who likes to decorate large spaces, Boileau said he saw a lot of opportunity and took his idea to the Texan-French Alliance for the Arts. 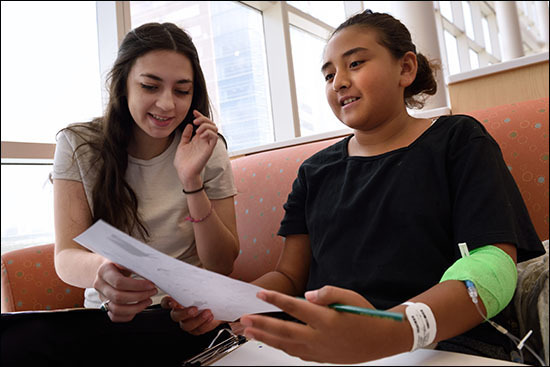 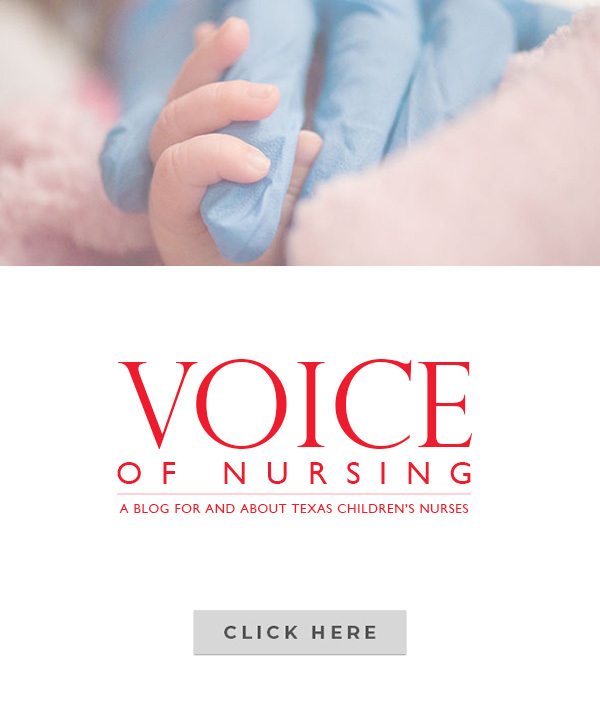 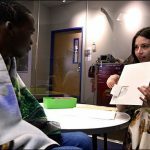 They in turn reached out to Texas Children’s. 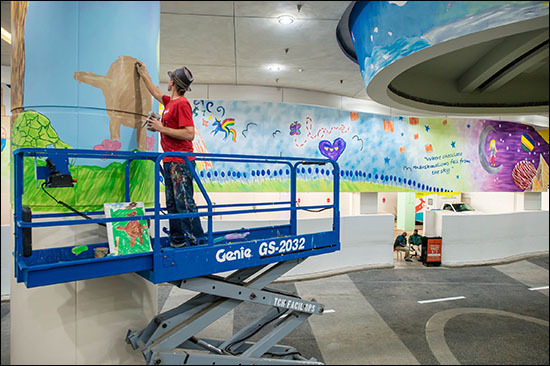 Once funding was secure, the project was green lighted and completed in just a few months. 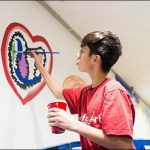 During the painting process, Isaac Bogani, the patient Boileau went to visit in the hospital years earlier, joined the artist and helped him replicate a heart he created for the project. 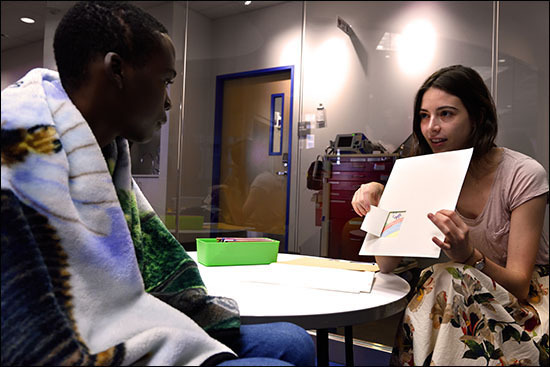 The experience was special for both Isaac and Boileau. 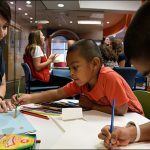 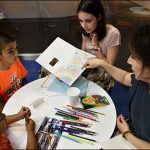 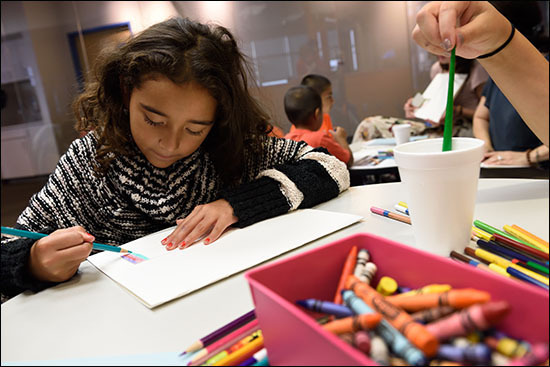 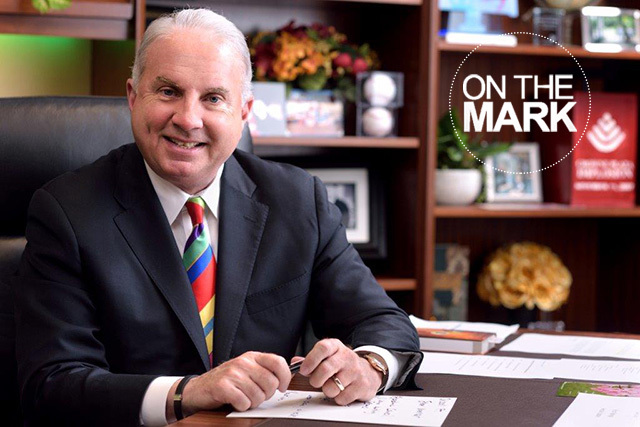 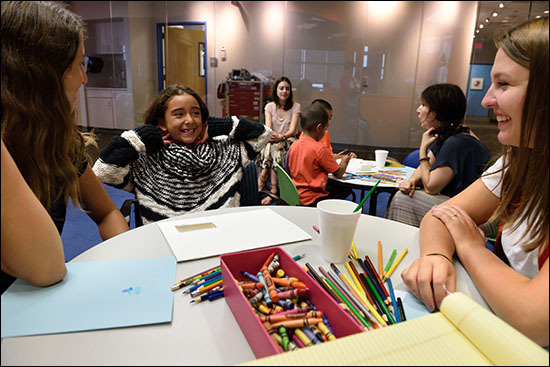 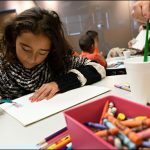 Both Boileau and the Texan-French Alliance for the Arts have long-standing relationships with Texas Children’s. 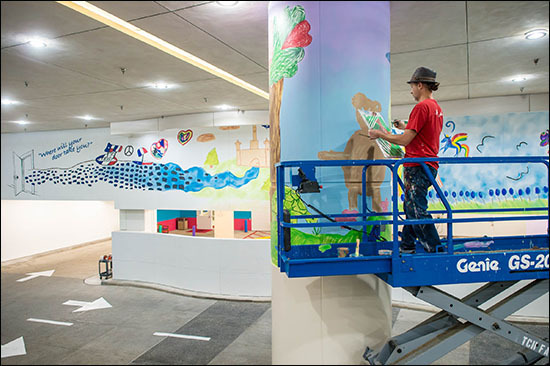 Boileau painted the mural featured at the playground adjacent to the Abercrombie Building. 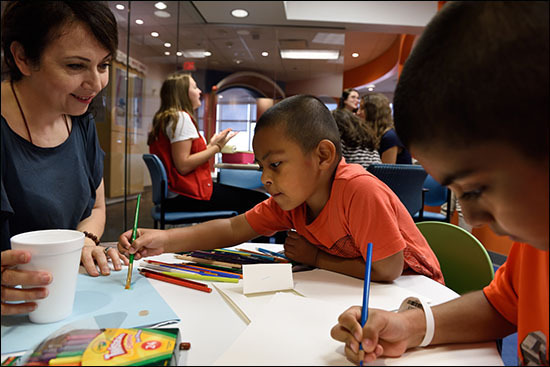 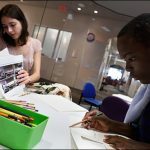 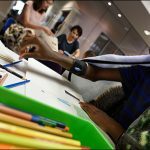 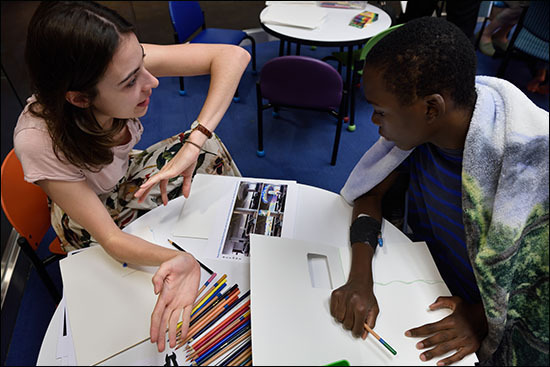 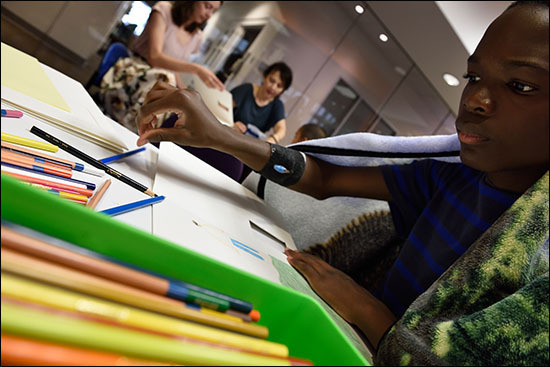 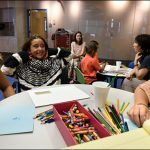 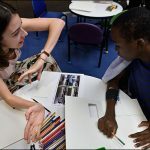 The Texan-French Alliance for the Arts has worked on various projects with the Periwinkle Arts In Medicine Program at the hospital over the past decade.